For any cyclist – from a newbie to a pro – April is when things really get rolling. Provided we got ourselves organized and did some base miles in March, April is when we start to sharpen our fitness, both in terms of our endurance and intensity. There are countless means, methods and theories to doing so. 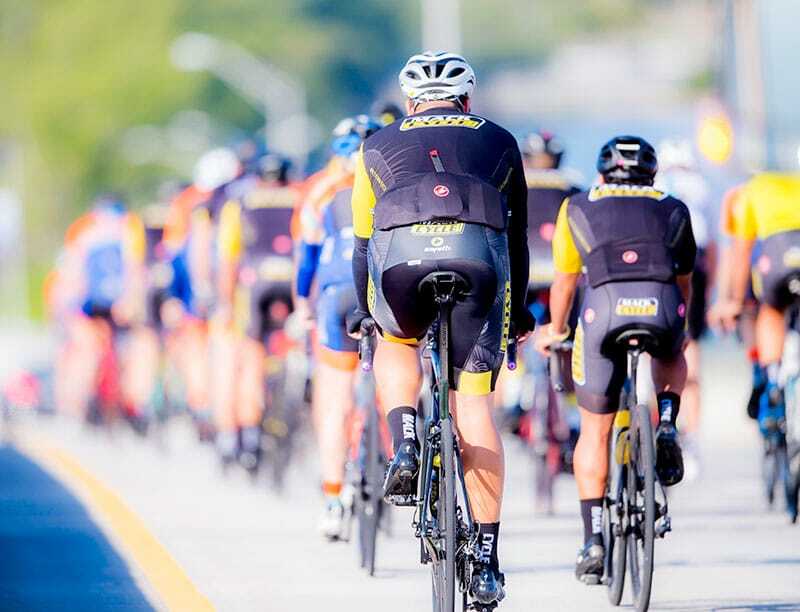 There are two common mistakes that typically lead to poor performance on the day of the ride. This results in folks barely being able to finish the ride without a whole lot of enjoyment. The second mistake is to sporadically ride in a catch-as-catch-can schedule reacting to weather, life, schedule, work, etc. without any plan. 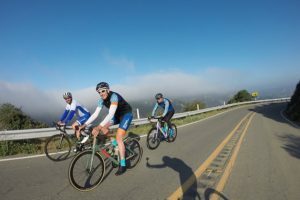 This rider might pile on a big ride only to not ride again for five days, ride twice in a row on a weekend with friends, and then not ride again for two weeks, etc. I call those folks “pinballers,” because they bounce off opportunities when they arrive. Below are some samples of files from Strava, a free app, that records mileage, speed and elevation. While Strava offers a number of wonderful features, I chose to simply grab some screenshots of Best Buddies riders I know. Note I’m less concerned about the mileage number on the left column, being respectful of each person’s life. Note that this athlete trains long and hard but took no time to rest. Note this is the classic master cyclist with a big weekend for a two-day charity event in August. While it’s impressive it’s also flat the rest of the season. Going a bit longer or harder followed by a few rest cycles would be advised. Note that this athlete, a middle-age guy, had two big events on his calendar, Best Buddies being one in June and the other an ultra-long day in July. But note the riding around it does not ramp up gradually, save for the two weeks in May (which was good!). Now behold the “pinballers”, who train sporadically. At issue is how this rider ramps DOWN going into the big ride! The ride turned out to be a sufferfest. Again, this rider has no real pattern whatsoever and went into last June’s big ride way under trained and suffered considerably. Now I want to show you two files of Best Buddies riders who did it right. The first is a long-time female rider in the event with experience who peaked just in time. Note how she ramped up, rested, ramped up again, rested, did the ride and then maintained her fitness through the summer with a few rides per week. He put in two ramps, rested, hit the big ride, then repeated those cycles through the summer. Note that neither of those two effective examples poured on massive mileage. They just focused on those ramps and recoveries. 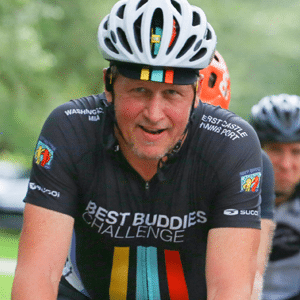 The two riders I show as examples rocked through Best Buddies with smiles on their faces. Note that none of these people I show are WRONG. Both flatliners and pinballers are noble folks doing more than the average person. (And mind you I do not factor in gym time, spin classes, cross training, etc.) But by simply re-allocating the time and energy one invests in this endeavor can yield significant improvement. Now look at the files of just two professional cyclists. The first is Laurens Tens Dam, a popular Dutch pro who did both the Giro d’Italia and the Tour de France. While the mileage is mind-boggling, note the repeated ramps up to big events and – most importantly – the rest periods after those big blocks. Note how March is simply a base. The second file I note is Ted King, the popular New Englander who rode all the Grand Tours before retiring from UCI pro racing. Note he did take up gravel racing, while also working on his businesses, with a vengeance, winning the 200-mile Dirty Kanza for the second time in 2018. Note that even in semi-retirement he ramps up followed by the rest cycles. But also note his mileage is not always that Herculean by racing standards. 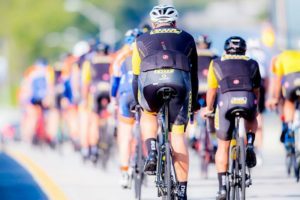 With a proper base, much of this type of schedule is achievable by a regional charity rider for a focused period of time to prep for one, two or even five long hard rides each year. What we go for is a saw-tooth pattern that steadily increases volume and intensity over a period of days and/or weeks, only to rest. I suggest set a few big days as goals along the way in your prep for Best Buddies. And yes, you can look up my file too! Tip: While training blocks will help you get ready for the Challenge, rest is just as important! Try training blocks followed by rest. Beware the Rides of March... just kidding!